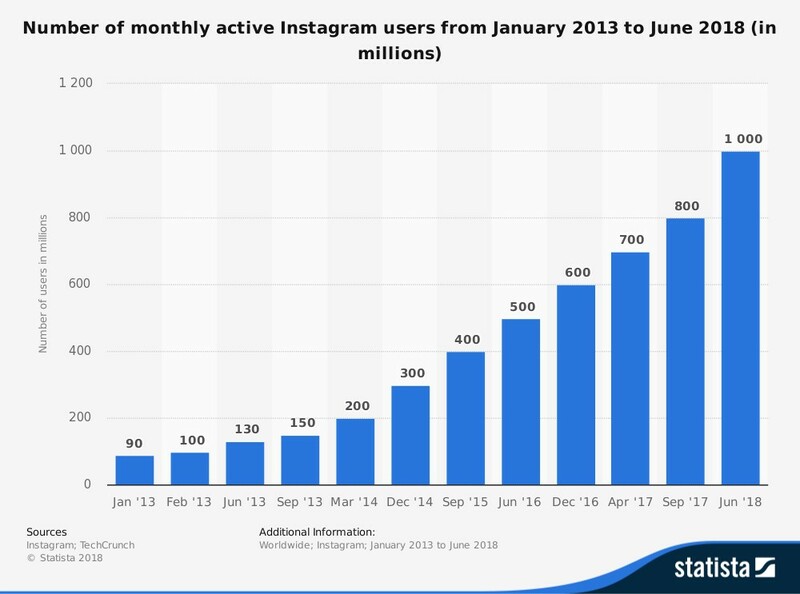 Instagram is enjoying a skyrocketing growth, especially in the last four years. Instagram had reached 1 billion monthly users, up from 800 million in 2017. So you can say it is one of the most popular social media worldwide. But who exactly are these millions of people scrolling on Instagram every day? Who use this platform the most and why? 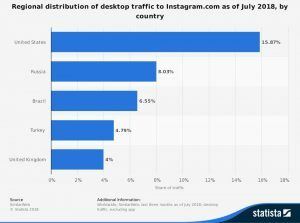 75% of Instagram users are from outside of the United States. 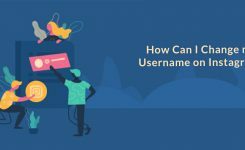 More than 60% of users log in daily on Instagram. 35% of users post several times a day, 24% of them do it only once a day. 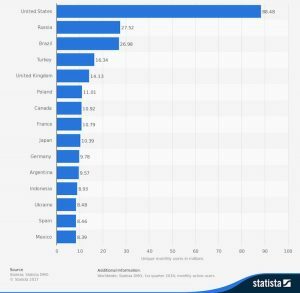 The US has about 89 million monthly active users on Instagram, Brazil, and Russia are in the second place with 27 million MAU. And turkey is on the fourth place with 16 million. Men, women, all the people out there find Instagram the best way to share their moment with their friends. But, women use it a little bit more. 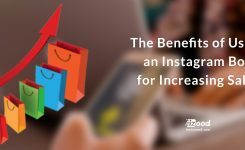 The studies show that 31% of women and 24% of men use Instagram regularly to share, like and post. 55% of the active users are 18-29-year-olds. The next largest Instagram age demographic is from 30 to 49 years old. So Instagram is the app for young people and teenagers. 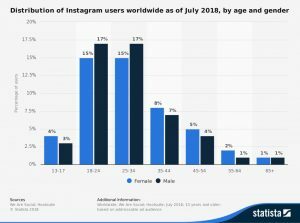 15% of global active Instagram users are women between the ages of 18 and 24. 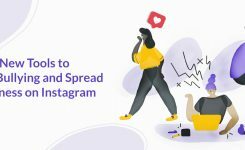 If you are running a business around anything about teenagers, women and young people, then Instagram Is an excellent way for you to promote your brand and find new customers.